Spruce up your cowboy boots and round up your posse for the completely FREE Groundwater Country Music Festival July 27-29, 2018. The Groundwater Country Music Festival is free to attend, so trade your swag for swagger, grab your Stetson and sun cream and mark this premier event in your calendar, book your accommodation now. The Groundwater Country Music Festival celebrated its inaugural year in June 2013 with 20,000 attending over the three days. 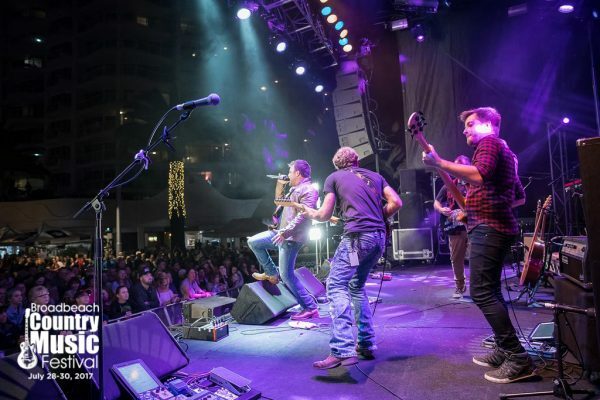 In June 2014, the second annual Festival was held and in excess of 35,000 people boot scooted into Broadbeach for the event. What remains the genius of the Groundwater Country Music Festival, and what sets it apart from a great range of other festivals is that the entire event is free. There are no charges, no booking fees and no tickets and the festival streets are “no drinking zones”. Click here to read more about the Groundwater Broadbeach Country Music Festival on the dedicated event website. Need Accommodation for the Groundwater Country Music Festival? Voyager Resort, centrally located in Broadbeach, is in the midst of all the action. For Groundwater Country Music Festival accommodation, contact us at Voyager Resort or check availability and book instantly online. With an endless list of well-regarded dining options surrounding the resort, you won’t have to search far for places to wine and dine in between all the acts – Social, Mamasan, Gemelli and Moo Moo are all great options (and just the beginning). Otherwise our fully self-contained apartments make preparing a meal just as easy as at home.